When you’re a parent of children of a certain age, the Disney princesses seem to be everywhere. For years, parents have been questioning how princess culture might influence little girls, particularly those who seem besotted with their images and their stories. A new study offers some surprising insights, finding that the princesses did make a difference in the behavior of girls — and that they influenced boys as well. Researchers looked at the rates of engagement with Disney princess media in 198 5- and 6-year-olds, and found that for both boys and girls, higher princess involvement (through toys, products and media consumption) over the course of a year was associated with higher levels of female gender-stereotypical behavior at the end of the study — even after the researchers controlled for other variables. 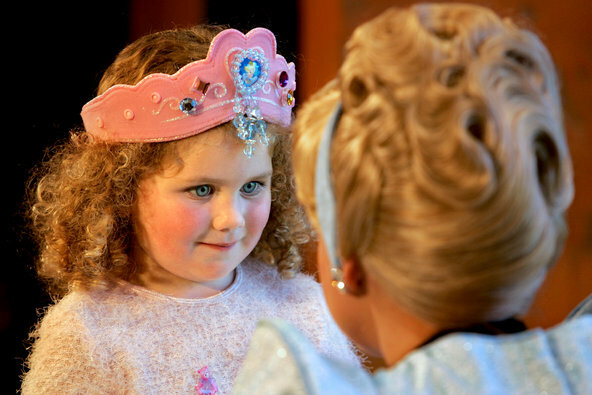 “It’s not just that girly-girls like princesses,” said Sarah Coyne, a professor of family life at Brigham Young University and lead author of the study, which was published in the journal Child Development. “We were able to completely take that out of the equation, and look at whether there is really long-term growth” in female stereotypical behaviors in children with high levels of princess engagement. “We found that there was,” she said, and that the media was really “driving” that association “as opposed to the other way around.” That growth in female stereotypical behaviors (like quiet play, pretend cooking and cleaning, and avoiding risks, getting dirty or trying new things), was also observed, to a lesser but still significant degree, in boys with higher Disney princess engagement. How concerned parents will be about that connection depends on how we perceive those behaviors — and possibly on which gender child we’re thinking about. When it comes to girls, the link between princess involvement and stereotypically female behavior is certainly no surprise, said Rebecca Hains, media studies professor at Salem State University and author of “The Princess Problem.” “It supports what cultural studies critics have been saying for years.” Fear of how the princess narrative influences girls in a culture that often puts more emphasis on how a girl looks and behaves than on how she acts and thinks is nothing new, and Dr. Hains is pleased to see quantitative research backing up the qualitative argument that Disney, as a primary purveyor of all things princess, is contributing to that influence. But when it comes to boys, Dr. Coyne and her fellow researchers described the increase in stereotypically female behavior as meaning something very different. In girls, they saw an increase in those behaviors as “potentially problematic,” while in boys, the increase in androgyny that the stereotypically female behaviors reflected could, they wrote, have “benefits for development throughout the life span.” That preference for shifting girls away from more traditionally female behaviors while encouraging them in boys is reflected in some popular culture as well, such as commercials for GoldieBlox toys in which girls destroy princess toys and new products designed to encourage doll play among boys. As appealing as that desire for the well-rounded boy may sound, Catherine Connors, founder of Demeter Media and the former head of content at Disney Interactive for Women and Family, suggests that the reality is more complicated. “We really get our hackles up at the idea of femininity being encouraged in girls,” she said, and that reaction itself is, she argued, “a manifestation of institutional and cultural sexism.” A former academic, she said her daughter pushed her to rethink her own fears about princesses. Dr. Hains agreed. “Call out the good things,” she said. “She’s pretty and she’s so smart. Belle always has a book in her hands. Anna is really a problem solver. Identify the things that are important to your family.” Focus on the princesses’ qualities that support your values. For parents who want to encourage children to think beyond the Cinderella story, Mulan and Merida (of “Brave”) offer alternative models. Both defy expected gender roles, speak their minds and challenge the traditional expectations for princesses and the princes they supposedly seek. Anna and Elsa of “Frozen” do the same.